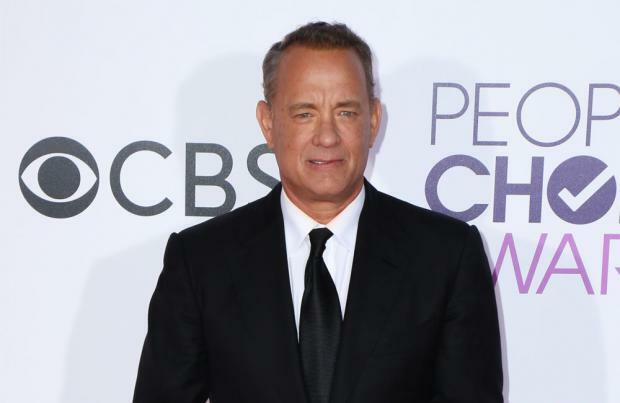 Tom Hanks' World War II movie 'Greyhound' has been pushed back to 2020. The movie – which tells the story of a career officer, Commander Ernest Krause, who is given control of a US Navy destroyer called Greyhound – was originally set for release by Sony on March 22 of this year but has now been postponed until May 8, 2020. Along with starring in the film – which is directed by Aaron Schneider – Tom, 62, wrote the script and is also producing. The movie will see his character deal with his enemies and also wage a battle against his own personal self-doubt. Meanwhile, in December, Hanks' Mr. Rogers biopic was finally given an official title. The actor is set to star as Fred Rogers – who hosted 'Mister Rogers' Neighborhood', the popular educational children's TV series of the 60s and 70s which aired on PBS – in the upcoming biographical film, and the production will be called 'A Beautiful Day In The Neighbourhood'. The fact-based drama is produced by Sony Pictures, and was previously known to the public as 'You Are my Friend', before the studio insisted there was no official title yet. 'A Beautiful Day In The Neighbourhood' is directed by Marielle Heller, and alongside Hanks as the TV icon himself, Matthew Rhys plays journalist Lloyd Vogel, while Enrico Colantoni, Chris Cooper, Tammy Blanchard, and Sakina Jaffrey fill out the cast list. The story is based on Alexis Jolly's screenplay which was sold in 2013 – though the final script for the movie was written by Micah Fitzerman-Blue and Noah Harpster – and tells the true story of jaded journalist Tom Junod, who has his worldview changed when he sees Mr. Rogers's sincerity is genuine. 'A Beautiful Day In The Neighbourhood' is set to be released in October 2019.